My adventures in the HUGE world of paper crafting and altered art. My blog has recently been added to Scrapbooking Blogs, which is part of one of the largest networks of blog directories on the Web. Please visit my blog's personal page to vote for my blog and comment to other blog users. Thank you all for taking the time to email me today with the kind words and encouragement to move to my new blog home! If you didn't know what's happening, I'm switching my blog over to Blogger. Soon it will have all the same content, videos, tutorials etc. Please come on over and push that God ALMIGHTY "Follow" button! I would so appreciate it! Also there is a Graphic 45 blog hop tomorrow with Want2Scrap and Art Glitter! Make sure you come by my blog to see the cool treat I have created for you all! 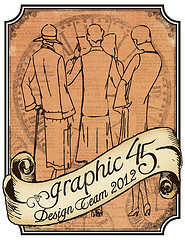 Also, there are cool prizes to be won not only by Graphic 45 but myself! Thanks Again! I so appreciate y'all! Still trying to figure out what is wrong with my Typepad Blog! I needed my original folder name? What in God's Goat Cheese is that? I guess I need to figure that out! Then supposedly my blog will be back to normal. How on earth can someone who never really tries to change ANYTHING with his blog get so messed up? I haven't touched anything! So frustrating! I'm seriously thinking that I should have just done Blogger as this would have been so much easier! I'm trying really hard to put a positive spin on this, but positivity has done left the house folks! LOL! I may try moving to Blogger soon, so don't be surprised with a new blog! My biggest fear is that I will lose you guys as followers. As we all know they are SO HARD to get. God knows I try to keep you all interested with some of my crazy Shenanigans! I'm just honestly scared to loose what followers I've worked so hard to get! What do you think? I've heard from SO many of you that you can't follow because you don't like the fact that you have to give out personal information, that you think you have to sign up and pay for a typepad account, and generally it's just too dang hard to follow me with Typepad. So here's the time to say something if you would! My email address is TheGentlemanCrafter@gmail.com. I would so appreciate an email telling me if I should move or just deal with the ongoing Typepad dilemma! I mean TOTALLY APPRECIATE it this time around. I know some of you are silent followers, but I honestly need your help in making this decision! I'm go back and forth! If you are a subscriber, follower, wanna be follower, Facebook Follower, or YouTube Follower, please, please take a moment and tell me if you think I should move to Blogger and no longer pay Typepad to host my blog. I would be so appreciative! I'm sure my blog could be fixed and I have been happy with typepad, but I simply don't have the time to try and figure out how it works anymore! In the airplane "fixin'" to take off! What an incredible time we had in Chicago! Got to come back soon! Loved it! I understand through several emails that when I phone blog like I'm doing now, you are unable to post comments! So sorry! I will look into that. Thank you Chicago! So enjoyed it! Here's to a good safe flight! Talk to y'all from Austin! This outdoor theater is amazing! How cool is this! Oh my gosh yall, I wish you could be here! 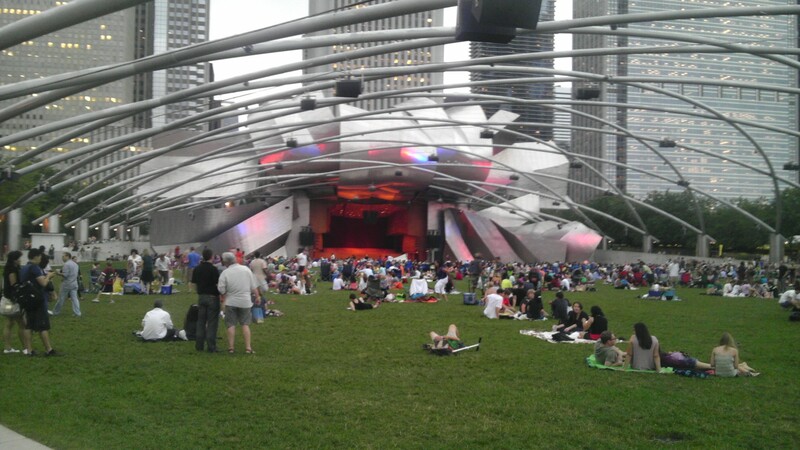 Excellent jazz, cool breeze, amazing architecture! Ahhhhhhh! 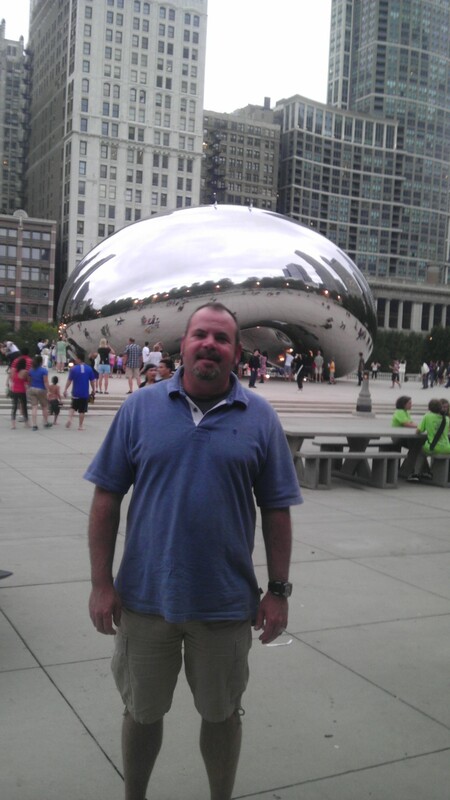 The bean or the cloud sculpture in Millennium Park! Can a Texan be in heaven in Chicagoland? Oh HECK yes! Wonder why I'm always talking about heart attacks? LOL! 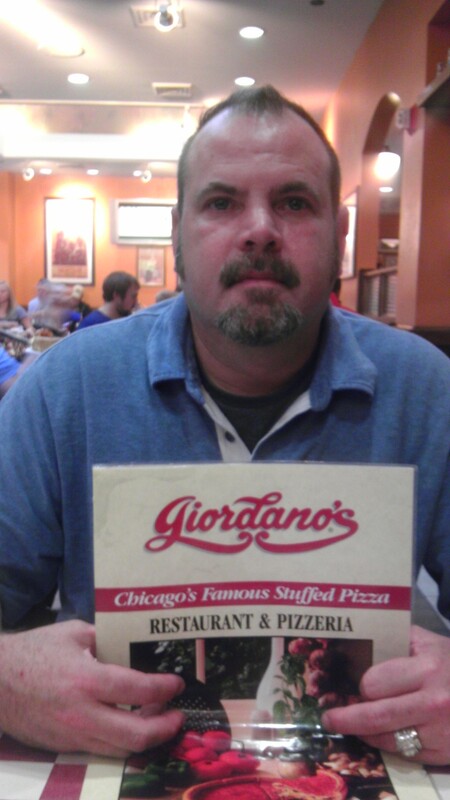 Well as soon as I finish off this fabulous Chicago Stuffed Pizza something's bound to happen! Maybe I won't think about it and have another piece! I'm in heavvvvveeeen! 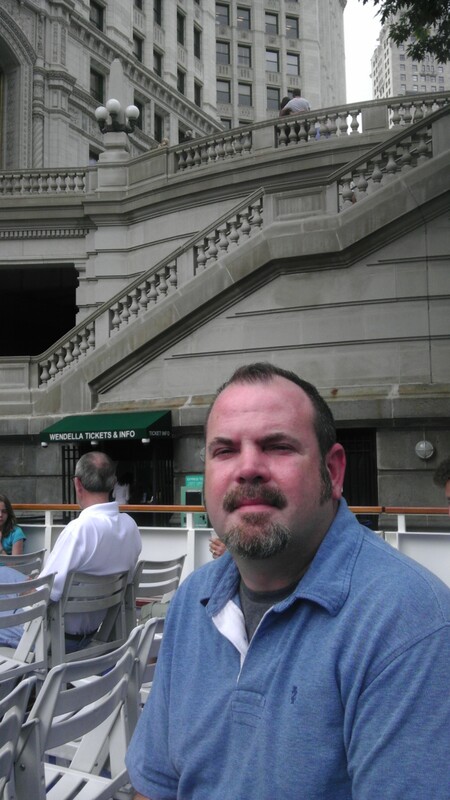 The boat tour was simply amazing. The clouds came back in and cooled things off Oh my gosh! I'm in love with this city! Totally different vibe from New York! Loving it! All I can say is wow! Wow! Wow! 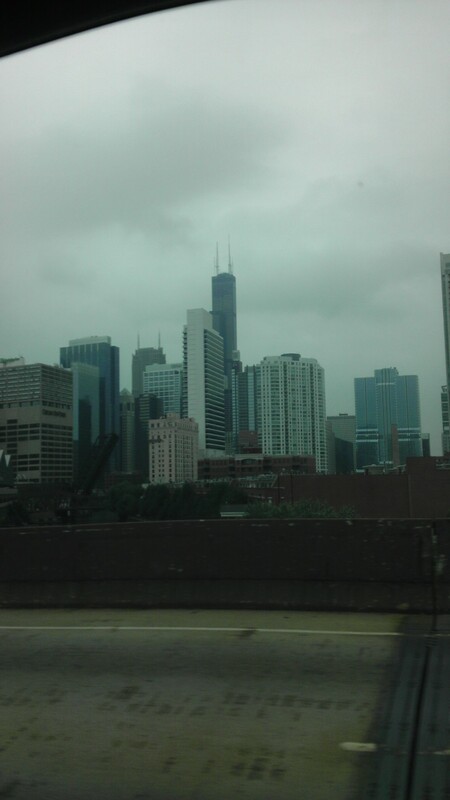 Wow Chicago by Taxi is pretty cool. Starting the second leg of the journey! Yahoooo! Going to explore Chicago for a couple of days! My first time! Yahooo! 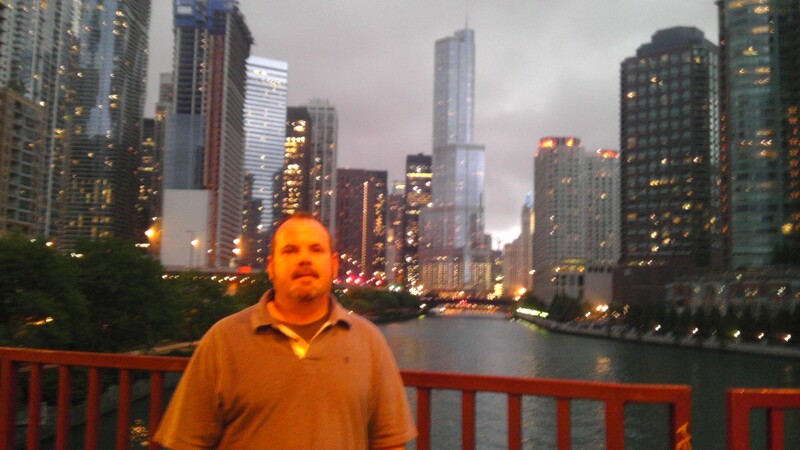 It is my understanding from Astrit the cab driver that the large building on the photo is the Sears building.